Here’s a radical thought: pleasure is not something bad or shameful that you have to sacrifice to be healthy, and you shouldn’t feel guilty about wanting pleasure in your life. In fact, no “healthy” diet is worth the effort if it doesn’t bring you more pleasure than it takes away. But wait, you say, if I lived by that principle I’d never eat Paleo! After all, our brains are literally wired to find the fat-sugar-salt combo in processed foods overwhelmingly pleasurable. So if I wanted to eat for pure pleasure, wouldn’t I be on a steady diet of pizza rolls and cinnamon buns? Hopefully NOT pictured: the most meaningful pleasures in your life. 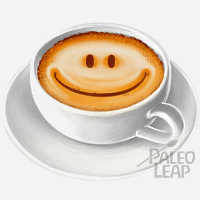 Maybe, if you’re only counting the pleasure you get from the taste of your food (although many people actually find that their Paleo meals taste better than what they used to eat, so it’s not necessarily inevitable). But what about all the pleasure in your life as a whole? Which do you think would ultimately give you more pleasure: eating a bowl of ice cream, or taking your wedding photos confidently free from acne? Which would give you more pleasure: eating a bag of Cheetos and waking up the next morning feeling sick to your stomach, or foregoing the Cheetos and waking up feeling like a million bucks? Pick one: the pleasure of eating takeout Chinese food, or the pleasure of taking a stroll through a beautiful forest without your crippling autoimmune disease weighing you down. Or choose between living your last 10 years in a wheelchair on oxygen, but having all the cookies you want, vs. living your last 10 years mobile and mentally sharp, but without the junk food. When you think about life as a whole, it’s easy to see how eating well can bring you a net gain in pleasure, even if (and that’s a big if) it reduces your possible pleasure at mealtimes. There’s an important distinction to make here between eating for pleasure and eating for thinness. In a way, most people on “diets” think they’re eating for a kind of long-term pleasure: they’re sure that they’ll be happy if they can only get thin. They put off happiness until then, and they forego the pleasure of food for a promise of some future pleasure once they reach a certain weight. The problem with this is that being thin doesn’t actually make you happy; it just makes you thin. There is no pixie dust that magically bestows happiness upon you when you hit your goal weight. Thinness is not an automatic ticket to happiness: ask anyone who’s lost a lot of weight. Dieters who give up everything on the assumption that they’ll be happy once they’re thin are giving up any pleasure they might have gotten from eating tasty but unhealthy foods, for the sake of an illusion. And that’s assuming that they even get there: it never seems to occur to these dieters that the future is uncertain. What if they get hit by a car, or suddenly have a heart attack. It could happen! Then they will have suffered so much, and given up so much pleasure…for what? “But being thin does give me pleasure! Now I can go hiking/ride my bike/fit into the seats on carnival rides/walk my dog/walk up stairs/[fill in your favorite activity here]” – yes, but the pleasure comes from doing the activity and/or feeling better, not from being thin. If you eat well, in a way that supports your health (as opposed to “dieting” only for the sake of thinness), you’ll get that pleasure, and you’ll get much more of it than you would if you focused only on being thin. Eating well may make you thinner if you have weight to lose, but the additional pleasure you get isn’t from the thinness itself. It’s from being healthier: feeling great all the time, and being able to do things you couldn’t do before. And that kind of pleasure isn’t something you have to put off and hope for until you finally make it down to a certain size or weight: it’s something you start feeling right away when you change your diet, and it only gets better over time. What does it Look Like to Eat for Pleasure? You eat enough calories, carbohydrates, and fat to feel strong and energetic all the time. If you’re weak and starving, you’re probably not feeling much pleasure. You may lose weight more slowly this way, but you’ll enjoy your life while you’re doing it. You maximize food quality. Prioritize your pleasure by choosing foods that don’t upset your stomach, and eat nutrient-dense foods that make your body feel amazing. You find a diet that works for you, instead of sticking to someone else’s idea of what’s “good” just because someone else said so. Eating for pleasure also means you’re not afraid to compromise on Paleo if that will improve your life in the long run. Maybe it means jumping up and grabbing that special opportunity to go to a foreign country you’ve always dreamed about, even though you’ll be staying in hostels and you might not be able to eat perfectly while you’re there. 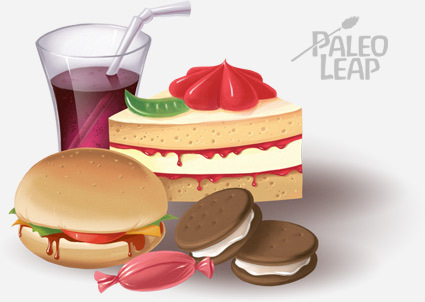 Paleo is a means to an end; it’s something you can compromise on for the right reasons. If your diet doesn’t bring you a net gain in joy and pleasure, ditch it. That doesn’t mean that you’ll necessarily choose your diet based on which foods are the most compelling in the moment. Junk food can be very delicious, but it can also be worth foregoing for the bigger pleasure of better health and all the things you can do with it.